on July 28, 2015, 10:13 p.m.
England’s 169-run victory in Cardiff had Australian cricket-watchers feeling slightly less optimistic about their chances in the 2015 Ashes. 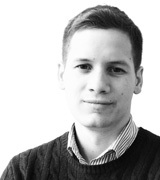 But the Australian side’s reply was resounding: a 405-run romp at Lords that, according to YouGov’s latest survey on expectations for the series, has Aussie fans brimming with optimism again. 75% of Australians following the Ashes believe their team will win the third Test at Edgbaston, which begins Wednesday. Expectations among Ashes fans in England and Wales looks more like the 1-1 score in the series so far, with 39% predicting an England win, 36% an Australian win and 21% a draw. 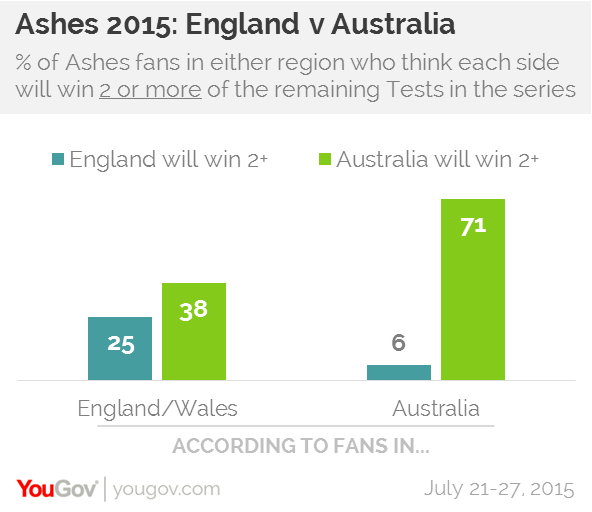 Whereas 25% of English fans think they will win two more Tests (for a total of 3) and fewer than 1% expect to win all three of the remaining Tests, 71% of Australian fans expect to win at least two of the remaining Test matches (that is, three or four overall), including 15% who expect to win all three. And 57% of Australian respondents predict England will see no additional wins after Cardiff. Hanging over the series has been England's decision not to call up batsman Kevin Pietersen – yet he is the potential selection that scares Australian fans most of all, with 56% convinced he would improve England's chances at Edgbaston. Jonny Bairstow, the wicket-keeper and batsman recalled to England’s XI comes second, albeit with only 22%. 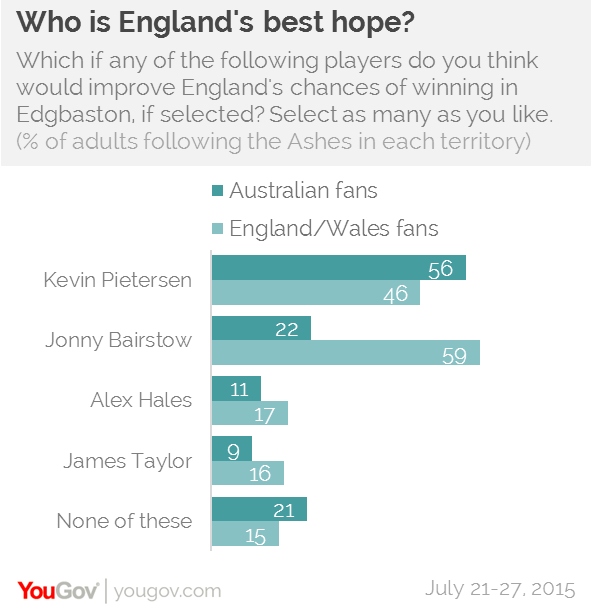 Home fans disagree: 59% think Bairstow improves England's prospects, while only 46% think the same of Pietersen (respondents could make multiple choices). Most or all of the fieldwork in both regions (July 21-26 for Australia and July 26-27 for England and Wales) was completed after it had been announced on July 21st that Jonny Bairstow would be called up for the third Ashes Test.